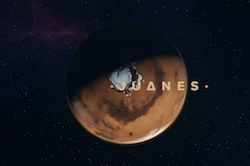 NEW DATE: Juanes concert scheduled for Saturday, November 18 at Coliseo de Puerto Rico has been postponed for Friday, June 15, 2018, at 8:30 pm. Tickets for the previous date will be honored for the new date. Latin Rock artist Juanes performs at a concert event in Puerto Rico. Come and enjoy the music of the creator of hits like 'La Camisa Negra', 'A Dios le Pido', 'Es Pot Ti, 'Volverte a Ver' among others.